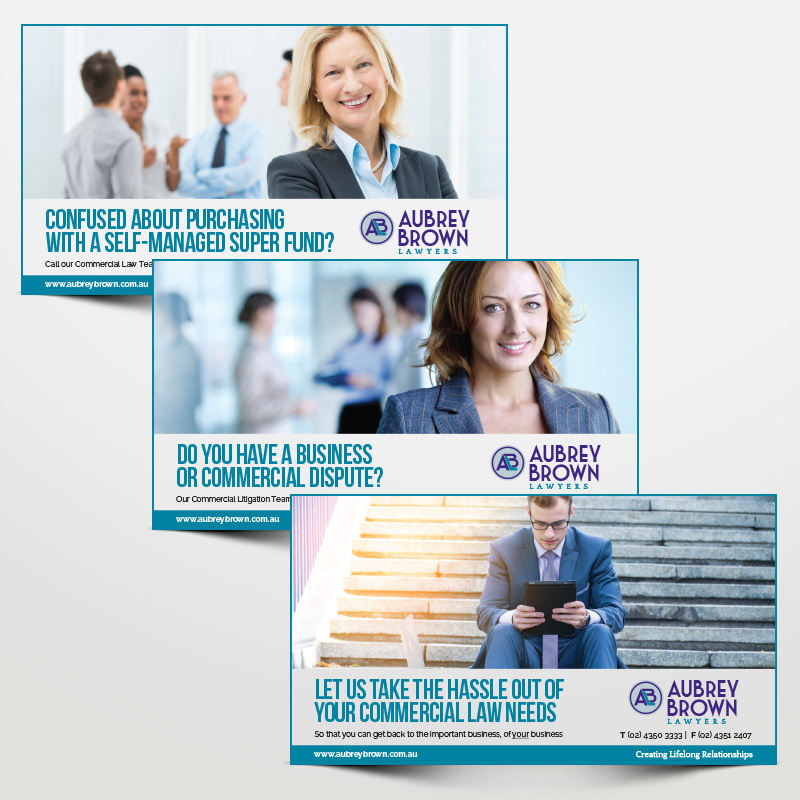 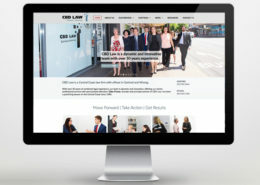 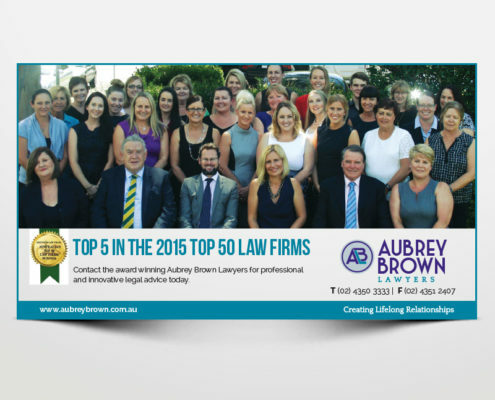 We have been working with Aubrey Brown – Central Coast Lawyers to give them a professional, consistent brand. 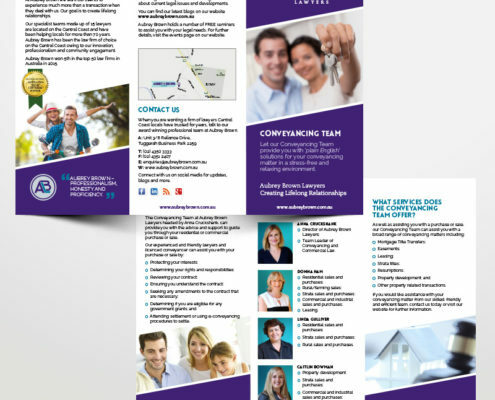 Creative work to date includes a logo, brochures and promotion print ads for local publications. 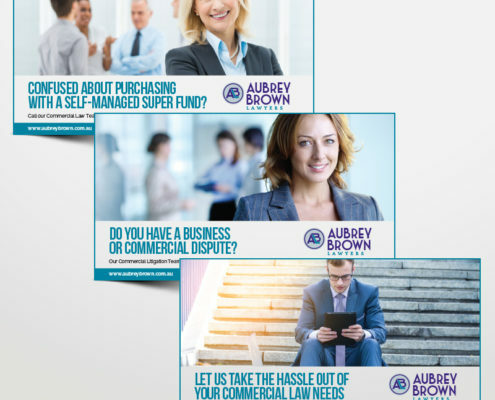 We’ve been working with Aubrey Brown to better establish their brand identity and position them in the marketplace as the go-to lawyers on the Central Coast. 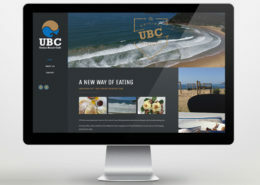 We started with a clean, professional logo with striking colours to lift off the page. 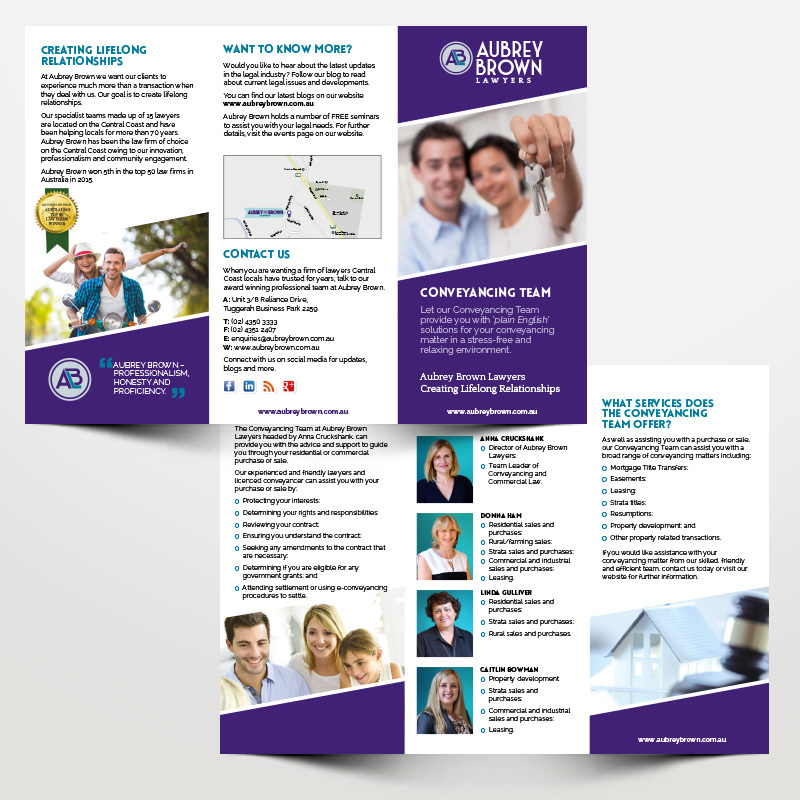 This was then brought across to the tri-fold brochure for the conveyancing team to further explain their role to potential clients and show-off the Aubrey Brown brand. 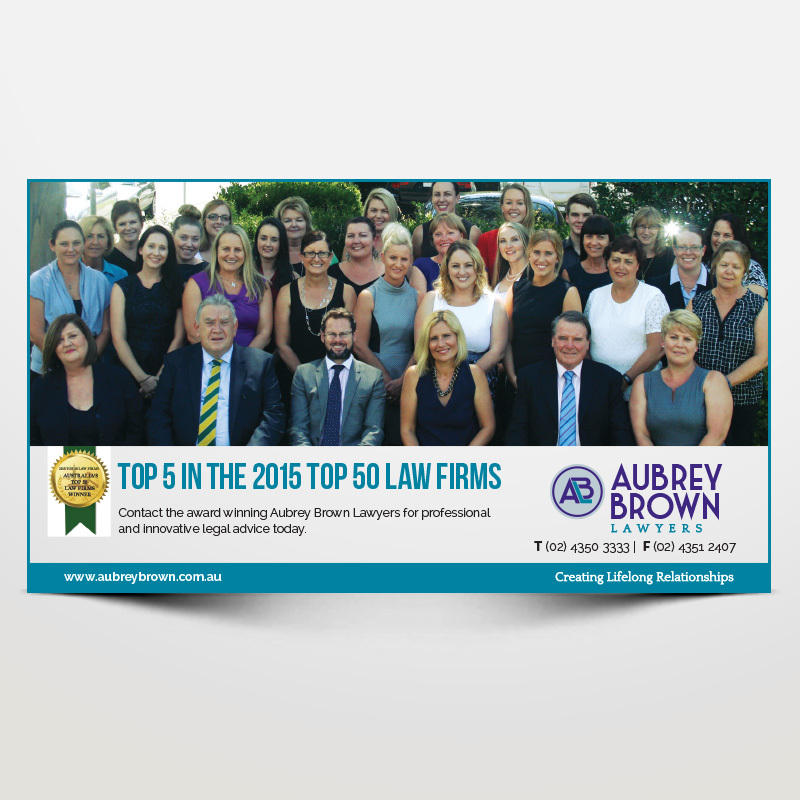 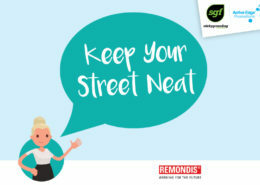 This then led to some print ads which were placed in Central Coast Business Review.